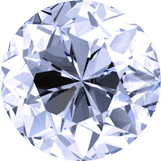 The international diamond industry grades diamonds using criteria to describe each stone’s cut, clarity, color and carat weight. A diamond’s grade in each of these categories determines its value and price. Becoming educated on the 4Cs is the first step in the process of selecting a diamond engagement ring. Todd Ingwer, Lead Designer for Leo Ingwer, Inc., helps clients understand the 4Cs to customize diamond wedding jewelry featuring the most beautiful design within a specific budget. 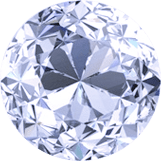 The international diamond industry grades diamonds using criteria to describe each stone’s cut, clarity, color and carat weight. The depth of cut of a diamond is what determines its brilliance. or inclusions, that occur when a diamond is formed deep within the earth. The visibility, number and size of these inclusions determine what is called the clarity of a diamond. Colorless diamonds are the most desirable since they allow the most refraction of light that creates their sparkle. Although the highest color-rated diamonds come with the highest price tags, it is very difficult for an untrained eye to see the difference between grades, therefore in tailoring a diamond ring to a customer’s budget, we can balance color and clarity without compromising on the beauty of a the final piece of diamond jewelry. Cut is sometimes confused with “shape” (round, square, oval), but diamonds of every shape and size must be cut and polished by master craftsmen to release their brilliance. or inclusions, that occur when a diamond is formed deep within the earth. Colorless diamonds are the most desirable since they allow the most refraction of light that creates their sparkle. A carat is the unit of weight by which a diamond is measured. All diamonds sold by Leo Ingwer Inc. have been purchased from legitimate sources not involved in funding conflict in compliance with United Nations resolutions. 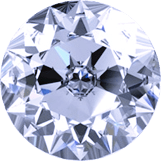 Leo Ingwer Inc. guarantees that these diamonds are conflict-free, based on personal knowledge and/or written guarantees provided by the supplier of these diamonds.